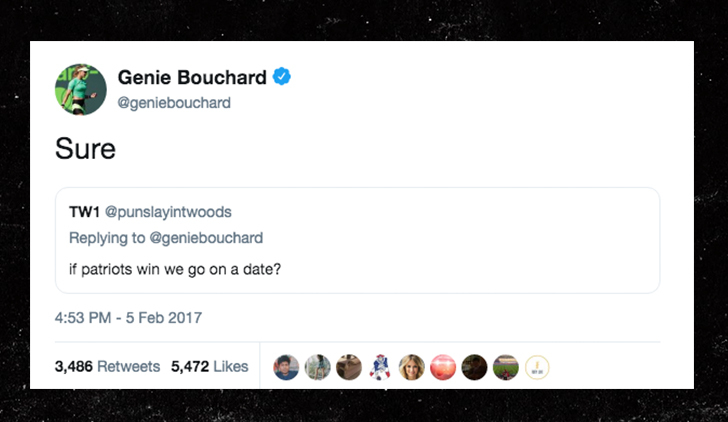 Genie Bouchard Super Bowl Bet Date Goin' Hollywood!!! Remember the guy who landed a date with a smokin' hot tennis star all 'cause the Patriots won the Super Bowl??? The incredibly unlikely story of Genie Bouchard's popular fling with a 20-year-old fan is heading to the silver screen with a movie adaptation ... the Canadian pro confirmed Tuesday. 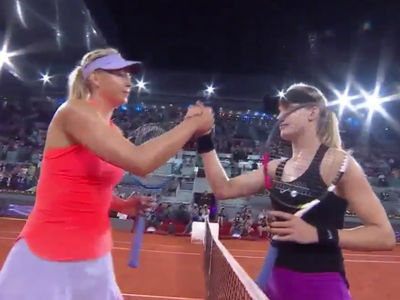 It all went down after the self-proclaimed Bouchard fan, John Goehrke, tweeted at Genie during Super Bowl 51 when the Patriots were trailing the Falcons by 25 points in the 3rd quarter. Dude basically hit the lotto ... 'cause the Pats pulled off the insane upset, and John got his date. Now ... Goehrke is getting a freakin' movie made about how he shot his shot with one of the most attractive female athletes of his time. Unreal. Bouchard will act as executive producer on the Jonathan Abrams flick ... which will focus on "dating and love in the modern digital age, asking if a relationship born on social media can survive the glare of the public eye," according to Deadline. At the time, people wondered if the whole thing was for clout ... but after being spotted several times together -- including a bikini beach date -- and now a movie??? Whatever this is, it's awesome.